When one talks about call monitoring, one should never think that it is limited to finding faults in a call and dealing with the associated problems. This is something that appears on the surface. However, one cannot deny that even in the contemporary, tech-savvy world, the two magical words of “thank you” are enough to steal the heart of a customer without doing anything at all. 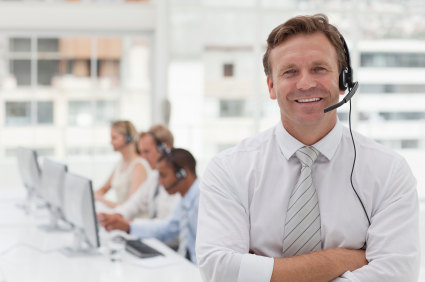 Presently, call centers outsourcing is an integral part of the business world. Therefore, things would never work out in the absence of a process that monitors the quality of every interaction taking place between a customer and a service representative. At the end of the day, it is necessary to provide an insight into the performance of a contact center. Whatever may be the situation, you cannot understand the customer’s mindset without observing the calls made to him. Always remember that a customer would never make a call if he does not need customer support services. In the present scenario, a number of companies are outsourcing call centers to the enterprises whose forte lies in providing customer care. It is not unusual for customer care enterprises to maintain the records of calls for future reference and monitoring purposes. Analyzing the quality of a call allows a service provider to understand what a customer actually goes through. In general, analyzing the quality of a call is considered one of the most efficient strategies for enhancing the service being provided to the customers. During this process, the phone conversation with an agent or any other kind of multi-media contact with the customer is kept under observation. Although a company can easily measure the level of customer satisfaction through a variety of techniques including telephone surveys, follow-up contacts, customer focus groups and analysis of feedback, the results are not always up to the mark. In contrast, monitoring calls allow access to ample amounts of information regarding the customer. Moreover, the individual performance of agents can also be gauged easily. Not only does the process of call evaluation enable an improvement in the overall performance of a contact center, but also helps in the identification of new opportunities for process improvement. The need for the call quality enhancement has compelled enterprises to look for techniques that help in improving the overall efficiency of the process. In addition, cut-throat competition also forces enterprises to implement advanced solutions. As a matter of fact, techniques like call routing and Voice over Internet Protocol (VOIP) have added another dimension to the outlook of contact center organizations. Consequently, the incorporation of new features in the solutions utilized for call monitoring adds to their lucrativeness and simplifies the management of customer service operations.